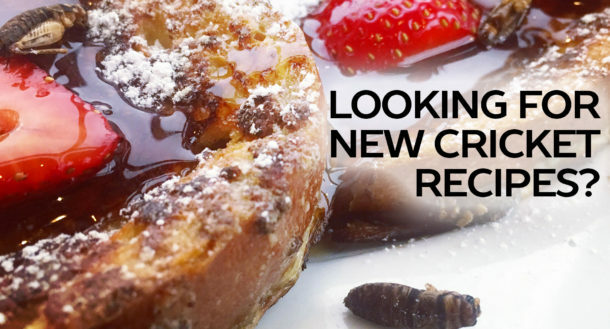 What Will It Take for Americans to Eat Insects? This morning we came across a recent article from Eater covering the topic of edible insects authored by Susmita Baral asking, “What Will It Take for Americans to Eat Insects?” We think this a great question that received some true insights from people throughout the edible insect market. While this is a question Cricket Flours first began asking when we launched our company, it is great to see another perspective from others in the food industry and market. The Eater article presents great insights such as creating the ease of access of allowing edible insects to be used as an ingredient in a base form such as a powder or flour that can used as an easy entry for people to try their cricket flour for the first time. However, while the form factor of using of a product like our Cricket Flours: 100% Pure is a stepping stone the key will truly be in the delivery. What the industry is experiencing is a lot of great culinary minds and chefs working to delivery delicious tasting recipes and products that also use cricket protein. The edible insect market in the United States used to encompass mostly novelty food items such as a “French Onion Flavored Cricket” or a “Cricket Lollipop” but we are now seeing baking flours, protein bars, pasta, and crafted recipes and dishes being rolled out in restaurants across the United States. In our opinion, there won’t be a perfect application or a perfect recipe that will change the minds of Americans to eat edible insects or consider trying Cricket Flours. What will it take? It will take time. Learning how to make cricket flour into delicious recipes and incorporating it into new products is one of the first steps, but not the only one. When looking to answer the question about what it will take for Americans to eat insects, we need to provide enough opportunities for Americans to experience the ingredient in dishes and recipes that they already love. If edible insects were available only in luxury resorts or only prepared by celebrated chefs, then that would not be enough entice Americans to try this new ingredient. However, coupling the cultivated palettes of celebrated chefs with the imagination and incorporation of cricket flour as a baking ingredient someone’s favorite family recipes will we truly begin to see what it will take for Americans to eat insects.